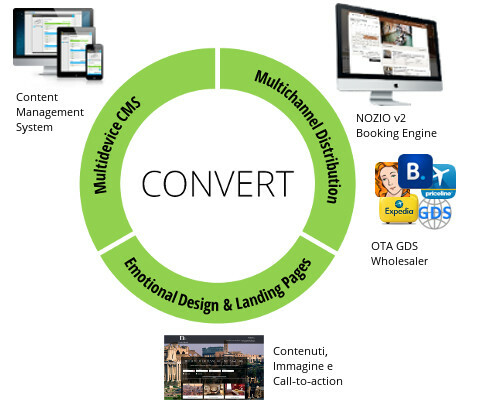 Convert visitors into direct bookings. Improve your communications to convert more! Have you brought quality traffic to your website? Now you need to convert visitors into bookings! Now’s the time in which communications, design, distribution policies and rates become essential. Therefore, effective graphics, an appropriate message and the tools you use are your greatest allies in convincing travelers to book from your official site, and generate greater direct sales.